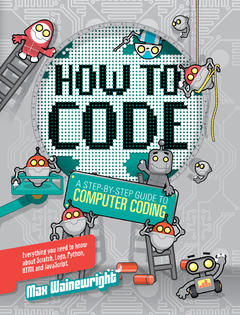 Home page > Blogs > Quarto Kids > STEAM > How do you code? To help the learning process of this new computer language, QED have created Ada, who’s named after the world’s first computer coder, Ada Lovelace. Ada guides and helps you through QED’s successful How To Code series – supporting children solve problems, make little websites and many other fun things that can help kick start a child’s understanding of tech, computing and innovation! Enjoy this fun game with Algorithms and direction coding! Or perhaps how to make a set of mini instructions! So there we have it, If you’ve managed to code that – well there’s no stopping you from becoming the next Bill Gates! If you want to continue having fun, learning more and also get a ahead start in coding, you can find our new release here!